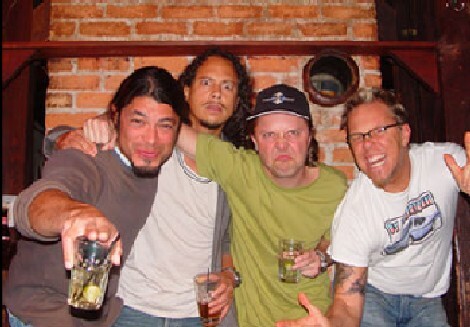 Metallica are a band who have been through bad times in the past, recently James Hetfield (Lead singer and guitarist) has been in rehab due to a drink problem, and they have been trying to find a new bassist. They found Robert Trujillo after noticing him when he played for Ozzy Osbourne. Metallica's first bassist, Cliff Burton, was crushed and killed by Metallica's tour bus on the way to Sweden in late 1986. In spite of these major difficulties in Metallica's history, they have risen up to be one of the most powerful bands in heavy metal. They are currently working on a new album set for release sometime this year.